In most countries worldwide, mobile phone use and point-of-service payment technologies are widespread. By 2020, even smartphones may be universal. New technologies and innovations are transforming the microfinance movement, and FINCA is changing, too. People in developing countries with bad roads, poor electricity access, and no land lines are suddenly connected to the world via mobile phones. Now, instead of traveling for hours to reach a bank branch, FINCA clients can use their phones to make instant transactions. 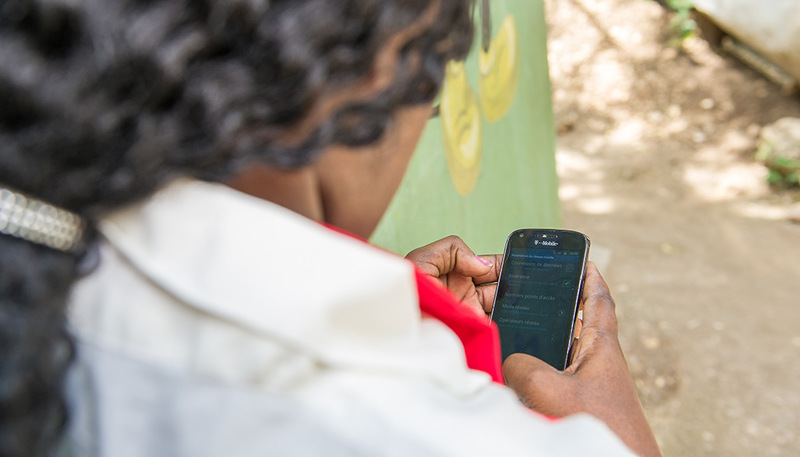 FINCA is expanding access to financial services, especially to low-income women and men, through mobile phones. This helps our clients save precious time and make secure transactions from anywhere. Tanzania, where half of FINCA transactions occur on mobile phones. Clients in Pakistan who will use mobile apps for banking. E-wallet integration, which is helping clients in Kyrgyzstan direct funds to their accounts. Savings can now be accessed anytime via mobile phones in many FINCA countries. In 2012, FINCA launched agency banking in the Democratic Republic of Congo. This innovative approach leverages local merchants and shopkeepers in areas where FINCA doesn’t have a presence, enabling them to provide banking services to remote clients on FINCA’s behalf. FINCA’s agents are equipped with portable devices that connect to FINCA’s network and allow clients to access their bank accounts through biometric fingerprints. Today, over 75% of all FINCA client transactions in the DRC are done through our proprietary agent network. We’ve also expanded agency banking services to the underserved in Tanzania and Zambia, helping many people to save time and money from their long commutes to FINCA branches. 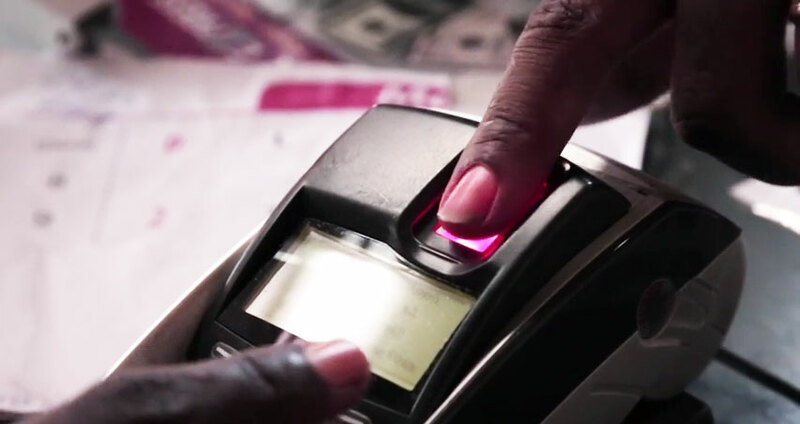 In some countries, FINCA’s clients can access their accounts simply by using their fingerprint. This method puts the power to save and transact in the hands of our clients, many of whom may be illiterate, or may lack ID cards. It provides them with the additional security and reassurance that their funds are safe. 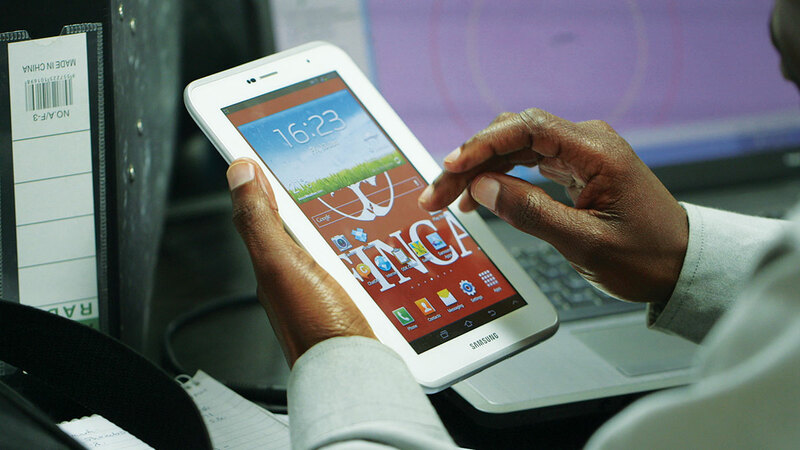 FINCA is using handheld tablets to capture household information from clients, allowing for faster and more accurate data collection. The tablets also capture a client’s digital geolocation. With this information, we can accurately map where our clients live and work with respect to our branches, roads, and other infrastructure. This, along with other economic and social data, helps us gain important insights about their financial needs , so that we can continuously improve our services while putting our clients at the centre of our work.